DNS Bank Recruitment 2018 – Dombivli Nagari Sahakari Bank Ltd. Job notification for 52 posts of Assistant Manager in various offices of the bank. 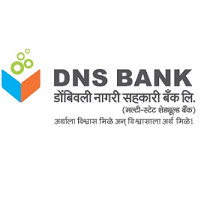 The detailed eligibility and application process of DNS Bank Recruitment are given in below. Educational Qualification: Degree (Graduation) in Arts/Science/Commerce/ Agriculture/ Management from a recognized University. Computer Literacy: Operating and working knowledge in computer systems is mandatory i.e. candidate should have Certificate/Diploma in computer operations/Language/ should have studied Computer / Information Technology as one of the subjects in the High School/ College/ Institute. Candidates with Degree (Graduation) in faculty of Engineering, Medical, paramedical, Technical graduation or Diploma shall not be allowed to participate in the process and their candidature shall not be permitted. Candidate should have capacity to read, write and speak in Marathi. The selection process of DNS Bank Recruitment is based on Online examination followed by Interview. The test contains 190 questions for 200 Marks. Duration of test is 160 minutes. The tests will be available only in English. Candidates who have been shortlisted in the online examination will subsequently be called for an Interview. The total weightage allotted is 100. The weightage (ratio) of Online Exam and interview will be 80:20. The combined final scores of candidates shall be arrived at on the basis of scores obtained by the candidates in Online Exam and Interview. While appearing for the Interview, the candidate should produce valid prescribed documents given. Examination Centre: Mumbai (including Greater Mumbai/Navi Mumbai), Thane, Pune, Nagpur, Jalgaon, Satara, Sangli, Nashik, Aurangabad, Ratnagiri, Kankavali, Ahmednagar and Kolhapur. How to apply DNS Bank Recruitment 2018 for Asst Manager? All interested and eligible candidates can apply for this positions in online latest by 13 September 2018.